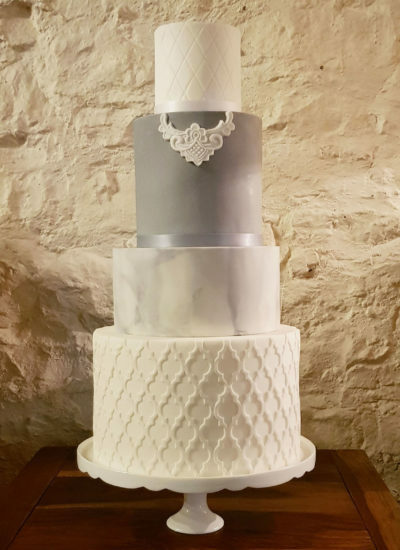 One of the most important parts of any wedding day is the cake, which is why Mai will give you her all in ensuring you have the wedding cake of your dreams. M Bakery’s signature style ethos is “less is more” which is why you will see very clean and simple yet effective looking cakes. Mai is also a fan of contemporary cakes as well as the white on white look but don’t be surprised if you see something a bit more quirky than normal as Mai also loves to experiment (not just with looks but with flavours)! 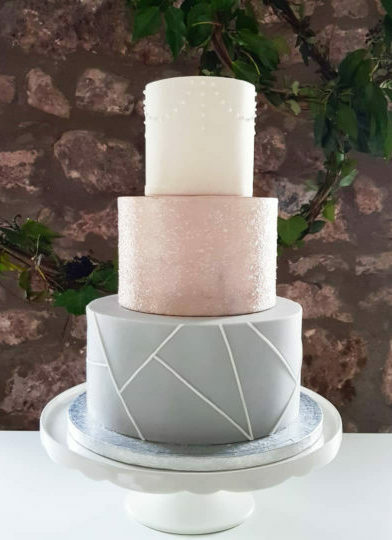 If you would like to arrange a wedding consultation with Mai, please read the Ordering a Wedding Cake information section and fill in the contact form below. To get a basic quote for your wedding cake, please fill in the contact form below with as much information as possible (e.g. number of guests, cake flavours, number of tiers, theme and style of cake (i.e. semi naked, fondant and/or buttercream), any decorations etc). Based on the information provided, Mai will give you a basic quote which may change after a full consultation. 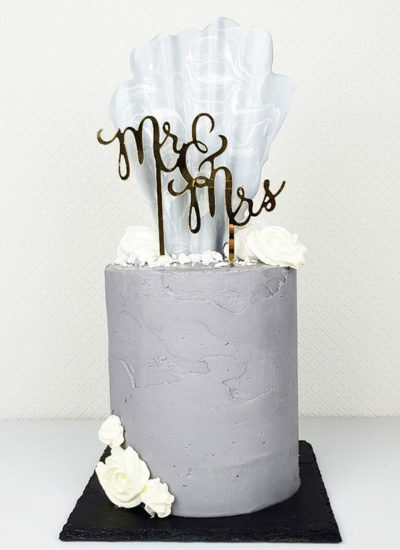 Mai highly recommends a consultation as this will give her the opportunity to not only meet the happy couple but to ensure she creates the perfect wedding cake for your special day. 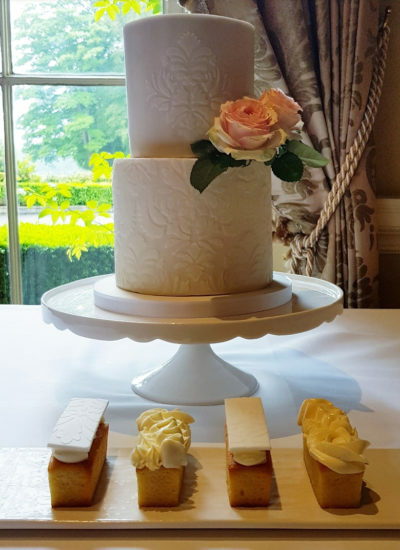 Wedding cake consultations take place once every quarter which are held at Hotel du Vin in Bristol city centre on selected dates. The fun will start off with a no obligation consultation where you will get to sample a selection of cakes with a cup of tea, coffee or a glass of Prosecco, followed by an illustration of your cake. 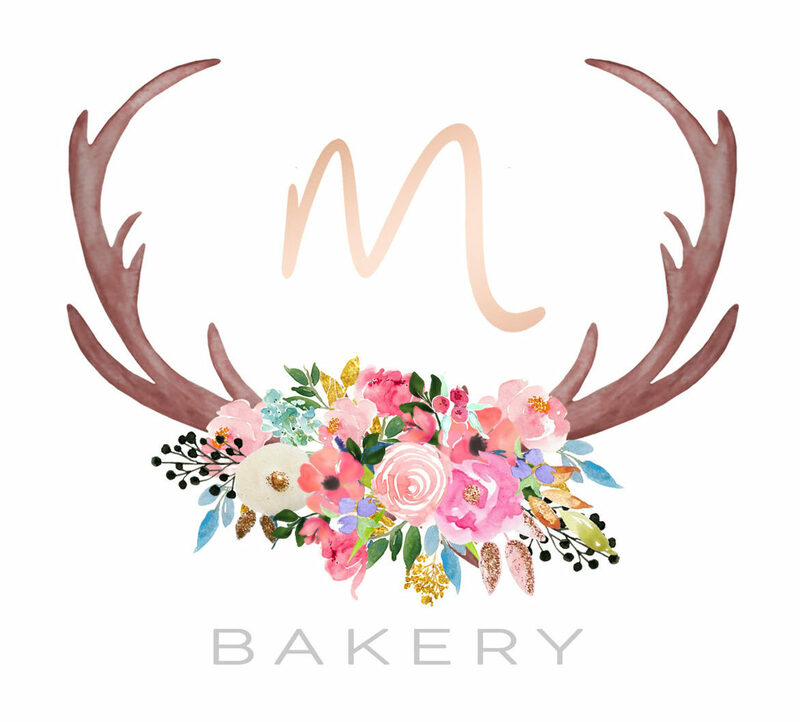 Each consultation will last around an hour and costs £15 which is non refundable but will be redeemed off your order if you choose M Bakery to create your wedding cake. As this is a special event, I kindly request that only the happy couple attend the consultation. 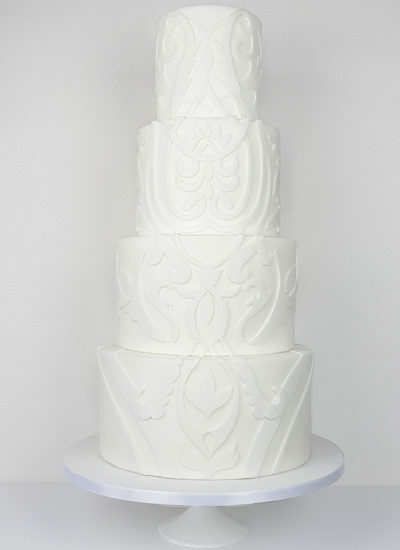 This will allow a thorough assessment of the bride and groom’s idea of their perfect wedding cake. If you wish to have a box of cake samples to take home for parents and friends, please let me know in advance so it can be arranged. Extra samples are available at a nominal charge. Alternatively, if you are unable to attend the quarterly consultations, you can arrange one with Mai at a date and venue of your choice (depending on availability) however this will be a non refundable cost of £25 but will be taken off your cake order. If non of the above is suitable for you, Mai also provides a cake mail service where a random selection of four cake flavours are posted to you to enjoy in the comfort of your own home. The consultation cake boxes are sent on a quarterly basis at a nominal charge of £20 which includes delivery. Again, this will be redeemed off the cost of your wedding cake.